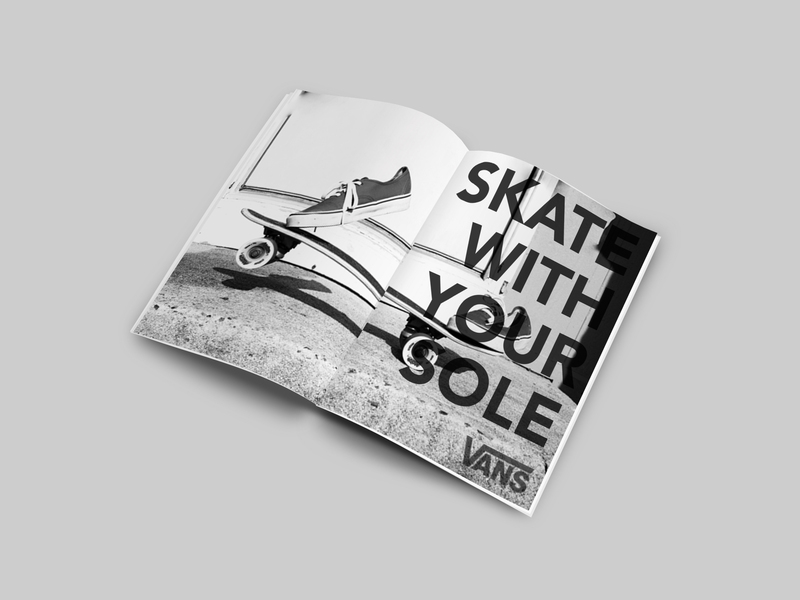 This campaign is a series of black and white photographs featuring floating shoes performing skateboard tricks. 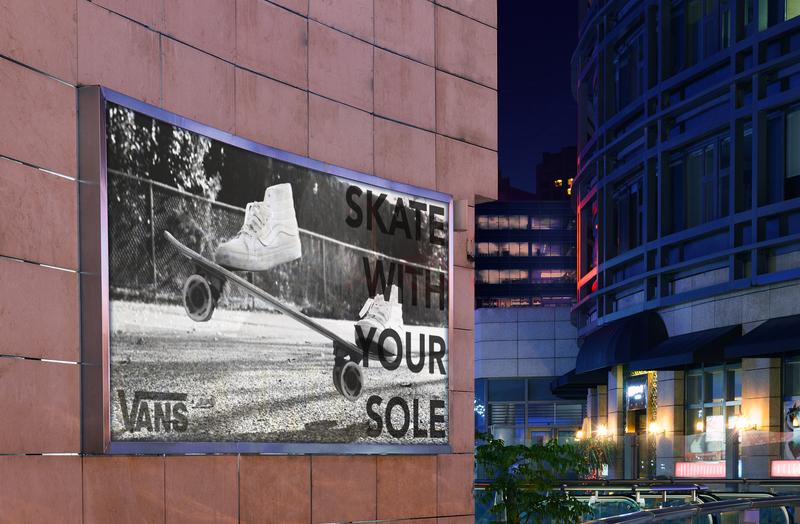 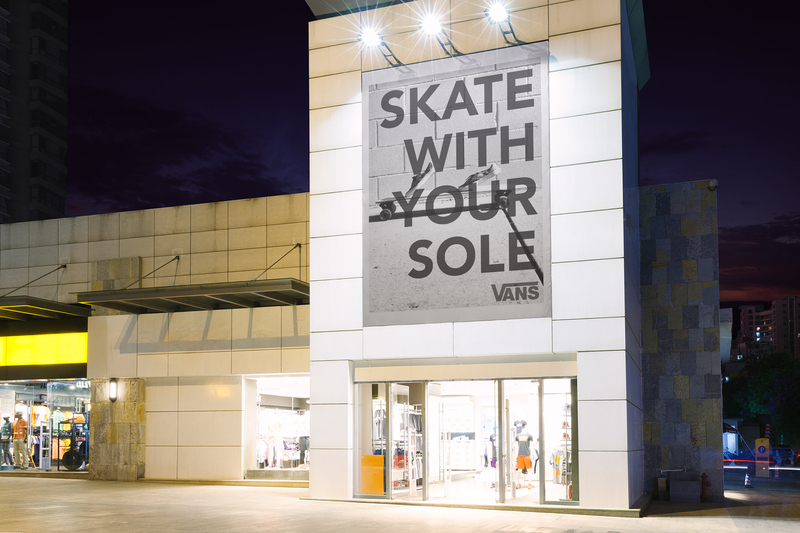 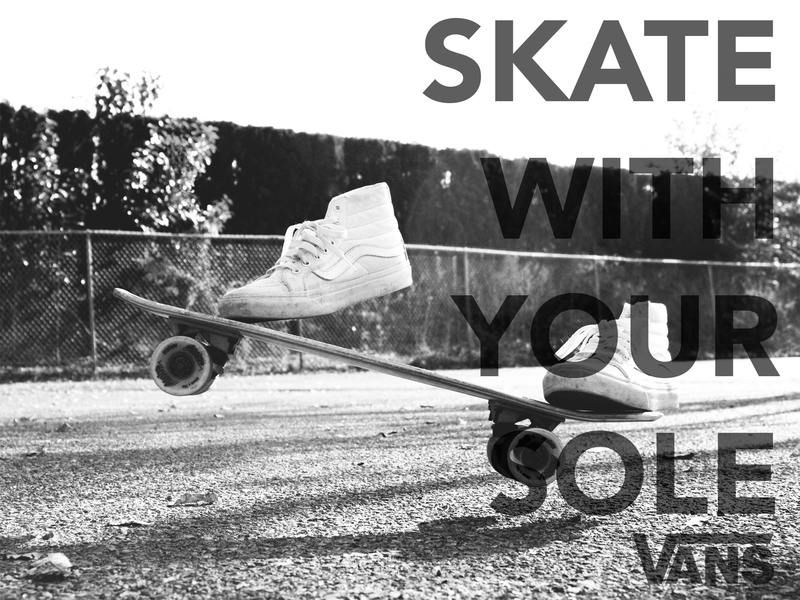 The tagline “Skate With Your Sole” is a play on words, which takes literal and figurative meanings and puts them together. 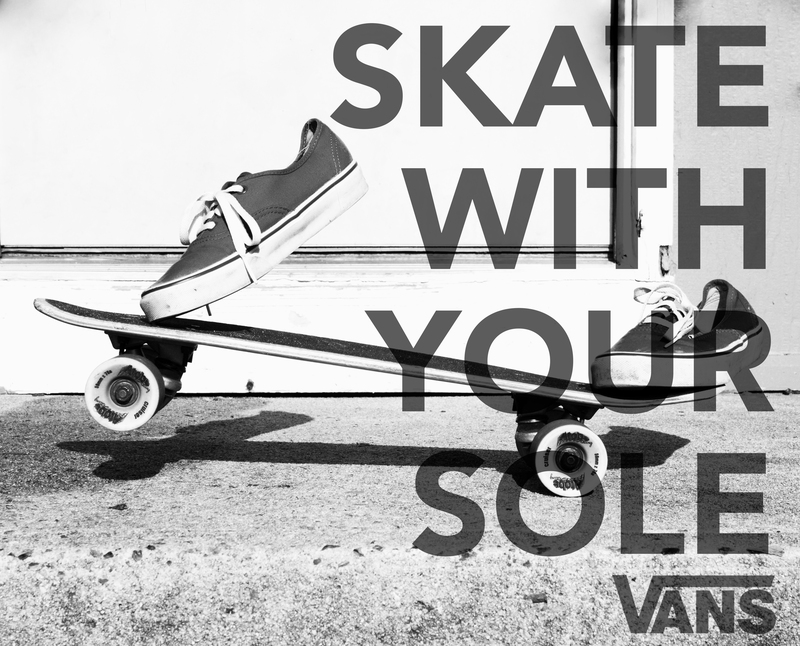 You need soles on your feet to skateboard, but you also need your soul to be in it to enjoy skateboarding. 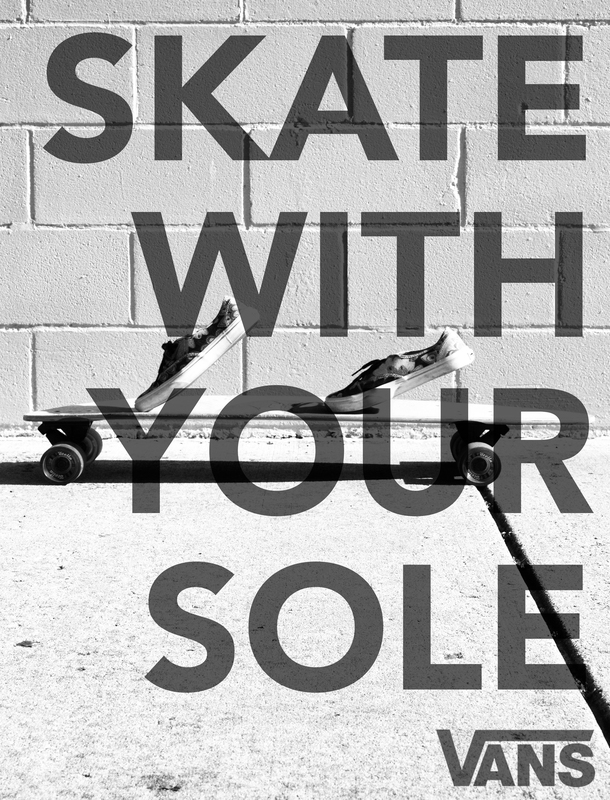 The idea behind the type placement for the tagline was intended to be very graphic, intrusive and in your face, while still being classic and easily readable.